join us for a quick weekday workshop! 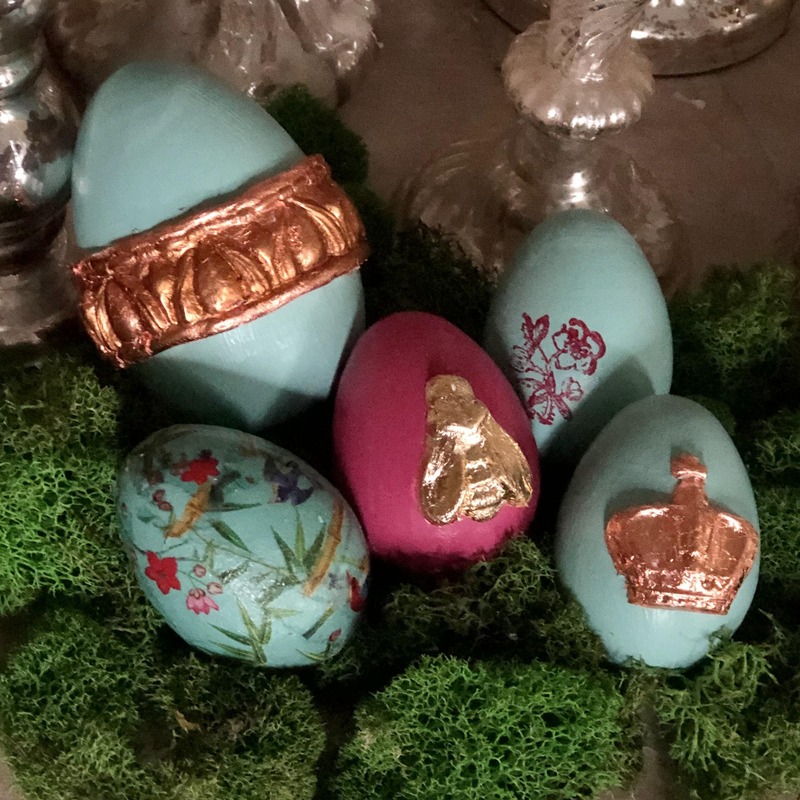 you'll go home with 4 decorative wooden eggs that you've embellished with jolie paint and iron orchid designs techniques: stamped, gilded, and embellished with clay in their beautiful moulds. learn all about this new line we're so crazy about, and all the other potential applications, too.